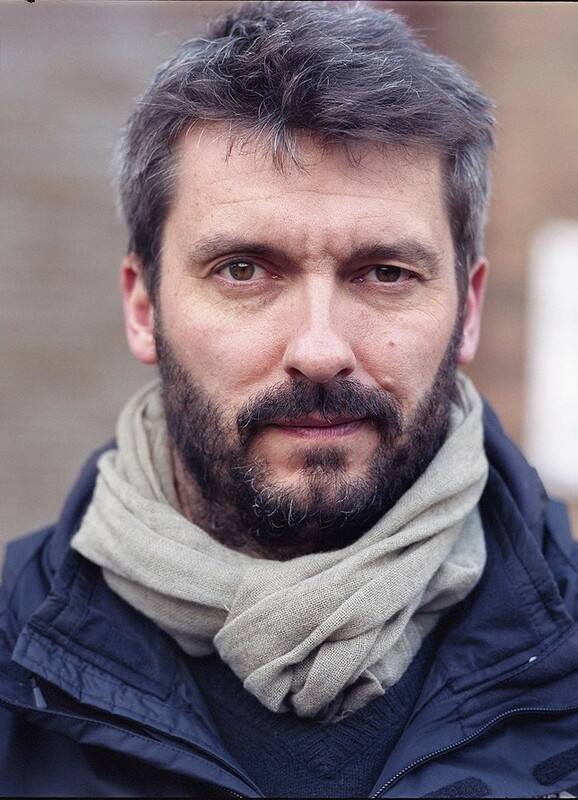 James Brabazon is an award-winning frontline journalist and documentary filmmaker. Based in London, he has travelled in over seventy countries, investigating, filming and directing in the world's most hostile environments. His awards include the Rory Peck Trust Sony International Impact Award 2003, the Rory Peck Freelancer's choice Award 2003, and the IDA Courage Under Fire Award 2004. He has made over thirty international current affairs films broadcast by the BBC, Channel 4, CNN, SABC and the Discovery Channel. He lectures on the ethics and practicalities of reporting from war zones and his writing has been published in the Observer, the Independent and the Guardian. I grew up with stories. My Irish grandfather was a soldier and a poet and a consummate, irrepressible, wonderful storyteller. He told stories out loud, from memory – episodes from India and Burma, from his childhood in county Mayo and from the stories that he’d had passed down to him by the generations that had gone before – in the best way of the inherited oral tradition. He told me stories about war, about bravery and courage and cowardice; about what it means to be a man; about why and when you should fight and why men should never, ever, be afraid to cry; he taught me how to become friends with your enemies; he told me stories about love and loss and hope; about duty and the unending, consuming quest for liberty. He played the violin and wove the notes around his memories. He spoke softly. He swore and cursed and flew into rages. And he wept for the dead he’d left behind in the jungle. And at the end of his life he sat and looked out to sea and said that the bird song sounded like the children he went to school with babbling away in Irish in the playground. And because those stories mattered to me, I began to see that how they were told mattered, too. And that’s why I write: because stories matter. They are the distillation of culture, the manifestation of our collective, collected unconscious. We have a duty to tell them, and to tell them well. As a child I dreamed of being Danny from Roald Dahl’s Danny Champion of the World – so much so in fact that I insisted that my mother call me Danny for nearly a year! I respected Danny’s battles with authority, loved his longing for adventure, admired his sense responsibility and yearned for his freedom. But most of all I was mesmerized by the relationship he had with his father: a strong man who had endured tragedy and guarded his secrets closely – and who loved his son unconditionally. Which character have you enjoyed getting to know the most while writing THE BREAK LINE? Apart from Max McLean, the main protagonist, I really enjoyed getting to know Roberts, his semi-reluctant partner-in-crime in Sierra Leone. Of all the people I created in THE BREAK LINE it’s him I could most imagine chewing the fat with over a beer. For those who are unfamiliar with Max, how would you introduce him? What part of Max did you enjoy writing the most? Max has some fairly extreme family issues going on… which were exciting to unravel. And I loved writing the combat sequences, too – because Max doesn’t always come off best at first, and he really has to pull out all the stops to come out on top. But mainly I enjoyed writing Max’s encounters with authority – how he reconciles his sense of duty with an ingrained conscience and determination eventually to do the right thing. Can you tell us why you decided to write THE BREAK LINE? This harks back to the first question really. THE BREAK LINE comes out of my day job: nearly two decades of war reporting. But it was working in Liberia and Sierra Leone during their civil wars that truly inspired me to write it. Whilst filming those wars in West Africa I’d regularly experience someone doing something so utterly extraordinary that it would change my perception of that conflict, sometimes of all conflicts, and occasionally even my perception of humanity itself. If that sounds unlikely, bear in mind that in war your safety and security and well-being are always in the hands of others to one degree or another. Sometimes those “others” are recognizably decent. Sometimes they are obviously criminal. So, as well as the good guys, for weeks, sometimes months at a time I also relied on murderers to keep me alive. Murderers to whom, inevitably, I owed a debt. In Liberia rebel soldiers fed me, chatted with me around the camp fire, divided the last of their starvation rations with me and shared their hopes and fears and aspirations, too, as any group of people speaking intimately might. And then the next day I would watch them execute prisoners. I learned, in short, that if you strip away the trappings of war and you realize that when you look into the face of the wicked, or the depraved, or the murderous, you look into a mirror. Or at least I did. And that led me to learn a different, professional lesson: that no matter how hard I tried, I simply could not translate the experience of “over there” to “over here” – for a television audience, for a newspaper reader, or for my family. There was, it seemed, an unbreachable gulf of experience between those who had experienced war, and those who had not. Everything I did as a journalist was driven by the truth, and by the all-powerful watchwords of credibility and authenticity. And although adhering to that mantra of absolute honesty made sure that my reports were as accurate as possible, I felt, increasingly, that they had no soul; that truth and beauty were somehow paradoxical in the theatre of war. That in turn led me to a revelation of sorts: that writing fiction could be as authentic and as credible as reportage if it was illuminating the human condition that was paramount. Hardly a unique discovery given that the ancient Greeks got there first, but it’s what led me first to write THE BREAK LINE. Never take advice from authors. We’re professional liars. France in the summer of 1989. I would tell my best friend not to go swimming. And if I am not allowed to change the past, then I would just do what I never had the chance to, and tell him that I love him. Was there an incident in your life that totally changed the way you think today? Yes. When my children were born I automatically consciously and unconsciously reevaluated absolutely everything. I looked at every piece of art, read every work of literature, watched every movie through entirely new eyes. My priorities changed completely. Becoming a parent is an absolute metamorphosis. Perhaps more than anything they taught me that love is not divisible: it multiplies itself. I thought my heart would burst with love – but they just keep filling it up more and more. I was born into the Moonies – a deranged, deluded and dangerous personality cult who worship the South Korean billionaire Sun Myung Moon as the new Messiah. My uncles were married in mass weddings of thousands of couples – only meeting their brides for the first-time minutes before the ceremony. My mother eventually managed to break free of the craziness when I was 3 years old. It was insane and intense – and much more so for her than me. Maybe one day I’ll write a book about it. Thank you JAMES BRABAZON for making this giveaway possible. 1 Winner will receive a Copy of The Break Line (Max McLean #1) by James Brabazon. "What did you do today?" I got a full night of sleep and I got up. I read Accelerant by Ronie Kendig. I did lots of reading!